Nordavia, with main office at Talagi airport in Arkhangelsk, tells that not one single of the scheduled flights to Oslo this summer took off. “No flights. Because, demand for them was extremely low since we started sale of tickets,” a Nordavia official writes in e-mail to the Barents Observer. Originally Nordavia planned for one weekly flight with start on June 4th until October 21st. When tickets came for sale, the number of flights were reduced to three, all in June and all were night-flights with arrival at Gardermoen airport in Oslo at 3.35 am and take off for return at 4.15 am. 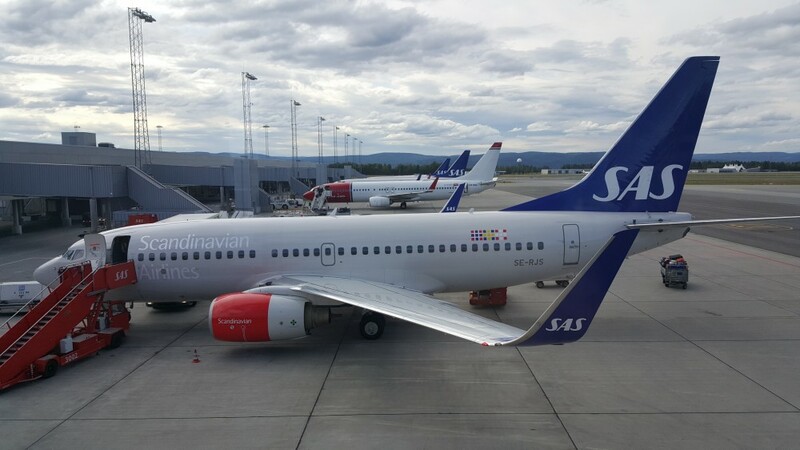 The Nordavia official says the airline will “keep in mind the Murmansk-Oslo flights, but we can’t say definitely when this route could open.” Nordavia has no plans to open routes to any other Scandinavian destinations. Cross-border flights in the Barents Region have seen better days. For now, no airlines operate any flights in the skies across borders between Norway, Russia, Finland and Sweden in the north. In May, Swedish regional airline Nextjet filed for bankruptcy and consequently all flights the company operated on the route Oulu-Luleå-Tromsø were cancelled. The route, heavily subsidized by Troms County, was not a big success with an average of less than half of the seats sold during the three years of operation. In the period 1994 to 2014, Nordavia [under different names and licenses] operated the route Arkhangelsk to Tromsø via Murmansk. A similar route had Rovaniemi and Luleå as destinations in the late 90s. Both Nordavia and another smaller Russian airliner, Orenburzhye, have by several occasions in the last few years announced re-opening of the Murmansk to Tromsø route, so far without a single takeoff. Today, many passengers from the Murmansk region go to Kirkenes airport on the Norwegian side of the border when flying to Oslo. The airport is a 3-4 hours drive from Murmansk and has three daily direct flights to Oslo.